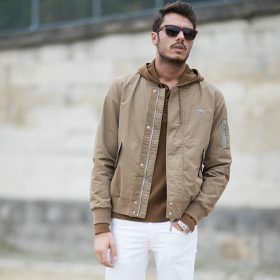 As the weather starts to change it's time to find yourself the perfect men's jacket and adapt your wardrobe accordingly. Feeling brave this winter? Swap out your heavy parka coat for one of the trendy jacket options. Still, it doesn't hurt to have a puffer jacket lying around just incase... The winter might not feel as cold for thjose of you living in the South so the men's jacket category is all about style. As you know, you can't go wrong wearing all black so a black jacket is the perfect addition to any wardrobe - whatever the weather!